LEGO Architecture is designed for all architecture lovers. With its high-quality, detailed design, it bears astonishing resemblance to the original monuments. The package includes a booklet in English with details on design and history. LEGO inspires creativity, imagination and fine motor skills, ranking among the most popular building sets for both children and adults. The LEGO Architecture 21019 The Eiffel Tower re-creates the best known symbol of Paris, which was designed and built by Gustave Eiffel. This masterpiece of engineering was opened on the occasion of the Exposition Universelle in 1889 held in Paris to celebrate the 100th anniversary of the French Revolution. It stands at an impressive 324 metres high. This toy meets the European Parliament and Council Directive 2009/48/EC of 18 June 2009 on the safety of toys, as well as all legal norms according to the Czech legislation. The product includes CE marking. For shipping to other EU countries visit this page LEGO Architecture 21019 The Eiffel Tower. 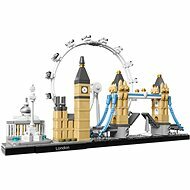 Für Versand nach Deutschland, besuchen Sie bitte LEGO Architecture 21019 Der Eiffelturm. Chcete doručit zboží do Česka? 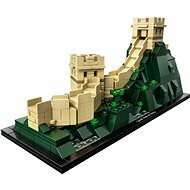 Prohlédněte si LEGO Architecture 21019 Eiffelova věž. Chcete doručiť tovar na Slovensko? Prezrite si LEGO Architecture 21019 Eiffelova veža. 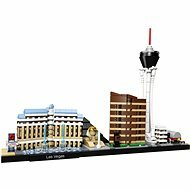 Für Versand nach Österreich, besuchen Sie bitte LEGO Architecture 21019 Der Eiffelturm. Magyarországra történő kiszállításért tekintse meg ezt a termékoldalt: LEGO Architecture 21019 Eiffel-torony.